Founder, Brookfield Centre for Lifestyle Medicine, Abuja. Dr. Ifeoma Monye is a Chief Consultant Family Physician at National Hospital, Abuja, Nigeria. She pioneered the establishment of that Department in 2003, a department which now ranks as a premier department in the hospital. Dr. Monye was for ten and half years, the Head of the Department (January 2003 – July 2013). In 2014, she founded the Brookfield Centre for Lifestyle Medicine. Her Career focus is on preventing, treating and reversing the course of chronic diseases, using conventional medicine and lifestyle changes. 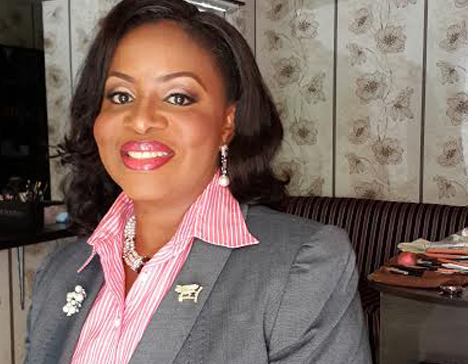 Following her graduation from the College of Medicine, University of Benin, in 1987, and the compulsory National Youth Service Programme, she travelled to the United Kingdom for Post-graduate training in Paediatrics and Child Health. She thereafter did her residency in Family Medicine in the United Kingdom. Dr. Monye is a diplomate of Paediatrics and Child Health, Obstetrics and Gynaecology, from the Royal College of Paediatrics and Child health and Royal College of Obstetrics and Gynaecology respectively. She is a member of the Society for Family Physicians of Nigeria,a member of the Lifestyle Medicine Association of Nigeria, a member of the American College of Lifestyle Medicine, a member of the European Society of Lifestyle Medicine and a Fellow of the Royal College of General Practitioners, United Kingdom. Dr. Monye is currently involved in several multi-national researches in Primary Healthcare, Lifestyle Medicine, either as the Principle Investigator, the Team Leader, Site Coordinator or Co-investigator. She is a regular resource person at the Post-graduate Scientific Conferences in Nigeria, contributes to health journals, the health editor in the Gleaner newspaper, where she writes the column on Lifestyle Medicine. She is the Resource Person on the “We Woman” Health Hour at We FM 106.5, Abuja. She has several years of experience in Health policy advice and development, institution building, research management, training of post-graduate doctors, capacity building and remains a strong advocate of gender equality. Dr. Monye is an alumnus of the prestigious SAID Business School, University of Oxford. She is a certified Lifestyle Medicine Practitioner and received her training at the Harvard Institute of Lifestyle Medicine, Boston, USA. She is a trained Counselor. She has also completed a Health Coaching Course with Well Coaches, USA. She is a regular convener of Stress Management Workshops. Dr. Monye serves as a technical partner in a mobile community health initiative and is also the convener of a Youth, Adolescent and Young People’s Mentoring Group; the Oaks of Righteousness (Oaks of R). Oaks of R is a group of young professional Christian men and women (mostly women), singles and married who are under her mentorship. Dr. Monye started the Foundation (Discipleship) School at the Temple of Glory International Ministries, Abuja, her local church and headed it for two years, before moving on to teach in the “Joyful Mothers Class”, a class of women waiting for the fruit of the womb. She regularly carries out Christian Medical Outreaches with her team at the Brookfield Centre and she is an itinerant minister of the gospel. Dr. Monye was recently appointed a Global Ambassador of the European Society for Lifestyle Medicine (ESLM) in Nigeria in recognition of her selfless activities and passion, lending her voice and resources to promote Lifestyle Medicine and reduce the global Burden of chronic lifestyle-related Diseases.